Insightful Marketing – How Much Time Does Your Business Spend on Social Media? It’s interesting to note that small businesses are realizing the value of content – but, again, time is an issue. More than half (55 percent) of small businesses surveyed have a blog. (Of those, 43 percent publish a blog post at least once a week. Nearly half (45 percent) spend one to three hours to create one post, while 16 percent spend more than three hours. (I can relate as it often takes time to come up with content, write the blog and then post it). So, nearly half of those who blog spend up to three hours per blog post on at least a weekly basis – time that, prior to having a blog, would have been used on other business activities. This suggests that small businesses are recognizing the increasing importance of generating content for social media, over other business activities. However, while they’re realizing content is valuable, time is still an issue. Respondents reported that finding and posting content to their social networks are the most time-consuming, followed by: learning and education; analyzing their social media efforts; and following their competitors’ activities. Answering questions posted on social media is the least time-consuming. Even with limited marketing budgets, small businesses are finding value in paying for social media. 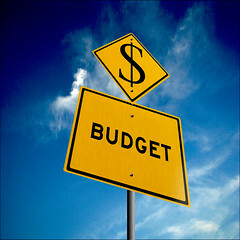 The survey data show social media budgets are increasing at a faster rate than overall marketing budgets. More than 22 percent reported an increase in their social media budget compared to a year ago, while only 6 percent reported a decrease. So, there are nearly four times the number of small businesses that have increased their social media budget, versus those that have decreased.